No Man’s Sky looks glorious. It’s a space exploration game that gives you a galaxy teeming with planets waiting to be visited. While the surface of each planet will be different, your means of getting there stays the same: a trusty single-seater spaceship. 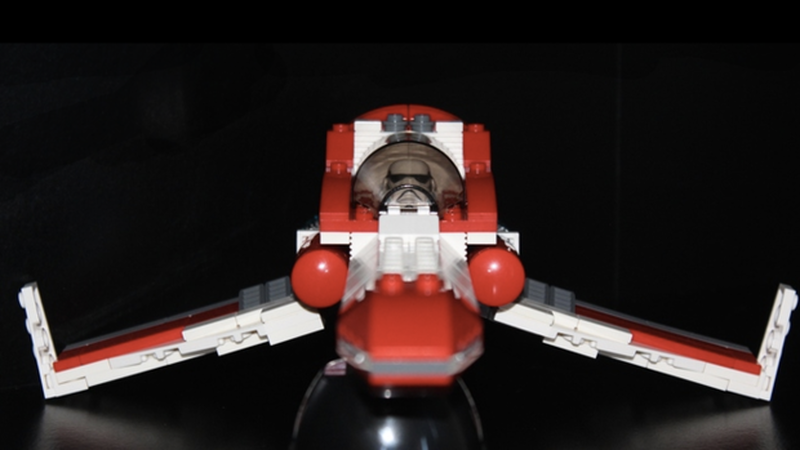 It’s that spaceship which Matt Davies has recreated in LEGO. As you can see, it’s a pretty good likeness. Davies has submitted the design to LEGO’s ideas page–a site that lets fans vote on designs to be made into official sets. If he can get 10,000 votes LEGO will assess whether it wants to start selling it. The official No Man’s Sky ship probably wouldn’t be piloted by a stormtrooper. Davies says it was the nearest sci-fi figure he could lay his hands on.